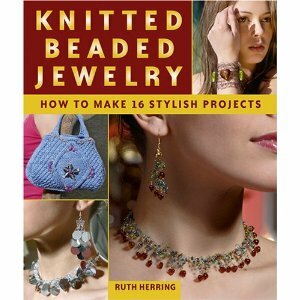 How do you make knitted wire jewelry? 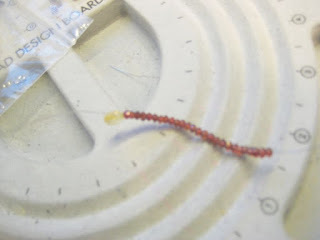 Some of my jewelry making friends asked. So I decided to show what I know in this post. 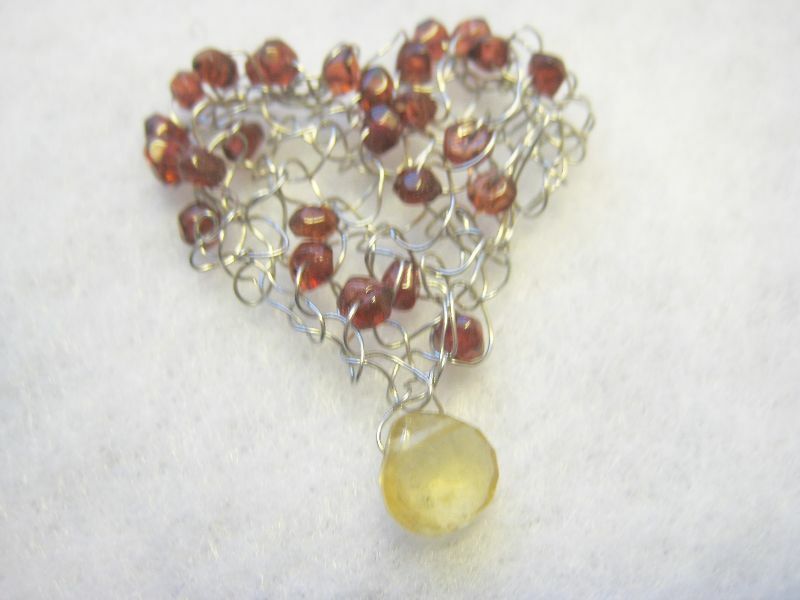 I love to knit and I love to make jewelry using quality gemstones and all kinds of beads. So one Christmas when I got a book about knitting with wire, I just took off. 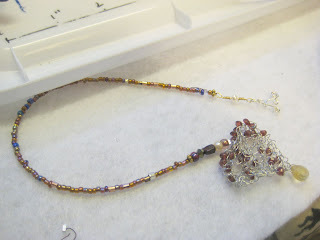 I got hooked into making knitted wire jewelry. There are several good books on this topic but this was the first book that inspired me. I am not any affiliate of this author or amazon. No monetary gain, I mention it because I have it and learned from it. 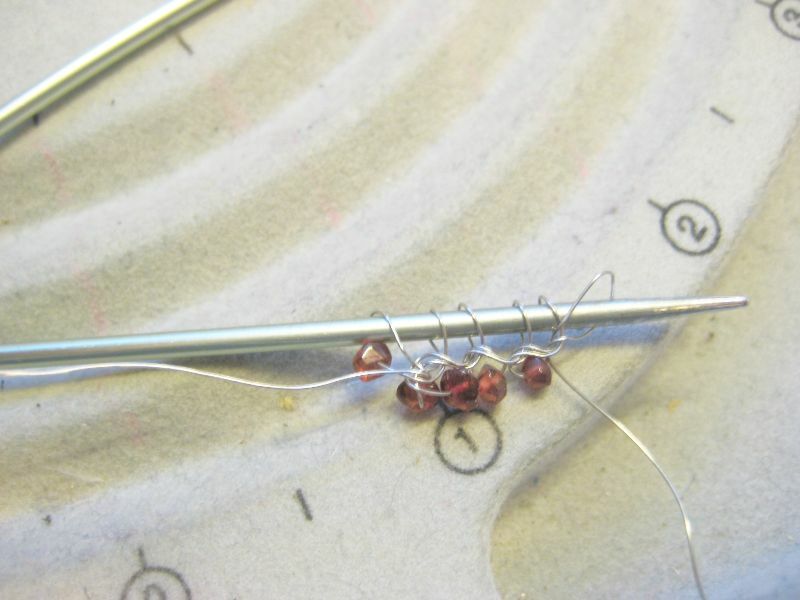 As Joyce Goodman says, it's a good idea to start with wooden double point needles and coated copper wire, like the artistic wire. Later, I have experimented with all kinds of wire, sterling silver, copper, and gold filled wire and now I like metal double point needles better than the wooden ones. For knitted wire designs all you need to know is - how to cast on, knit, purl and bind off. Knitting with wire is a little different from knitting with yarn in the sense that the properties of yarn and wire are different. Wire knitting may not feel as soft, smooth and quick like knitting with yarn. There is a difference in muscle movement and it may feel tedious at least in the beginning. But if you like the lacy, dainty filigree look of the knitted wire jewelry, you'll get hooked. Enough talking, now I'll show how i knit with wire. *Knitting needles size 4 US, in this particular one- I used double point ones and metal. *Wire - 28g or 30 g artistic silver tone wire. I have also used sterling silver and gold filled wire in some projects but not thinner than 30g. It tends to kink and break. Note - here I have the round nose and the chain nose pliers too because I extended this project to making a book mark. 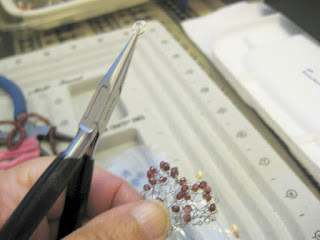 For making the pendant you may not need them. 2. Cast on 6 stitches. 3. Next row knit with beads, meaning slide one bead, knit. Slide one bead, knit - all 6 stitches. 4. Next row- just knit without beads. 5. Next row - Knit with bead like row 2 ( You may knit randomly, meaning skipping a bead in some stitches and so on to give it a free form look if you want ). 8. Bind off. Cut the wire from the knitted piece. 9. Now with your fingers give this a heart shape. Here comes the fun part knitting with wire. 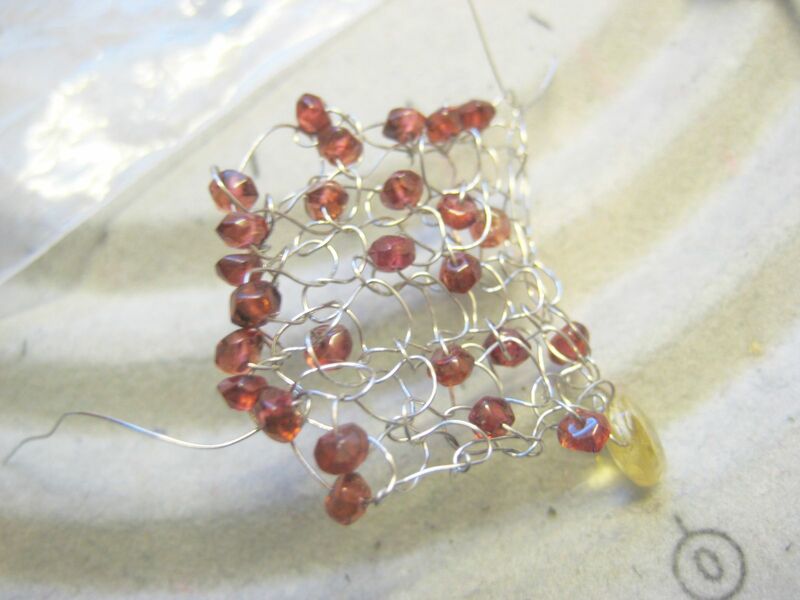 You can sculpt the piece as you like because wire gives you that freedom that yarn can not. Voila! 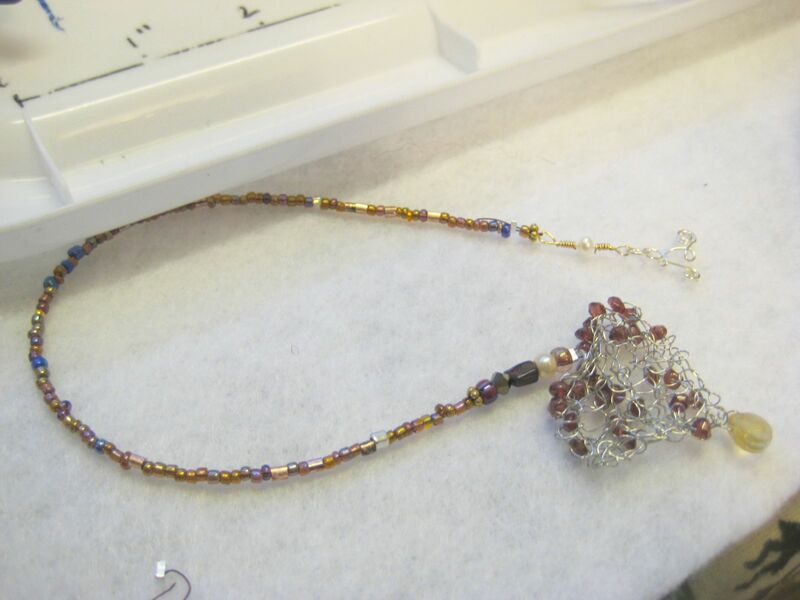 Your knitted wire jewelry pendant is done. Ruth Asawa. Check her work in The De Young Museum in San Francisco. because i wish for enjoyment, since this this website conations actually pleasant funny material too. Thanks for sharing your thoughts about old faithful inn address. website and thought I might check things out. I like what I see so now i'm following you. Look forward to finding out about your web page repeatedly. Thanks for dropping by. I hope I can give you some thing useful, or entertaining or inspiring. I think these are the three main reasons for my writing and I strive to do that in my blogging.